Handmade tutu dress with stripes tulle,without lining. Upper-body crochet 100% polyester,under part strips tulle 100% nylon. Brand designs for girls ; suitable for party, wedding, pageant, birthday, Halloween, Christmas or other special occasions. Size Chart: The suggested age and height is just for your reference. If your measurement is floating between two sizes, advise choosing the larger size. (Measurements shown in the size chart refer to item measurements, not body). 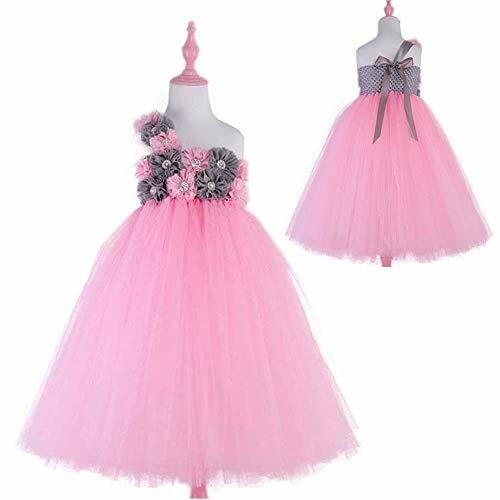 If you have any questions about this product by Girl Tutu Dress, contact us by completing and submitting the form below. If you are looking for a specif part number, please include it with your message.